Picking the right email client is a big decision. Email is still a major component of how we communicate with one another. Doing so through an email client that has all the right features for you is important. But which are the best email clients? In this guide, we’ll introduce you to some of our favorites and why we feel they’re worthy of your consideration. Although Microsoft’s Outlook client might be known as a desktop tool, its online replacement for the aged Hotmail web-client is a solid option for those looking for a cloud email client. It comes with 15GB of space as standard, though Office 365 Home and Office 365 Personal subscribers can get 50 GB of space instead. 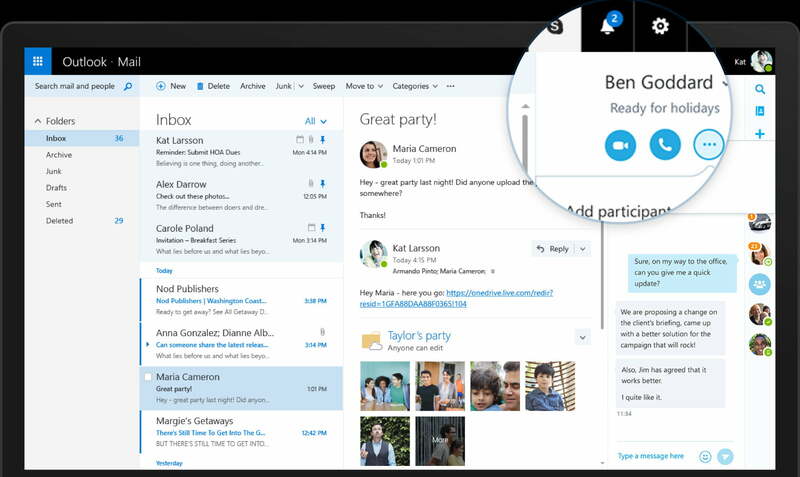 As well as integrating directly with Microsoft’s offline office software, Outlook can also pair up with services like Paypal, Skype, and Uber to make various forms of communication and interaction easier. That means automatically adding events such as travel plans and shows to your calendar.. You can also attach files to emails directly from your Google Drive, OneDrive or Dropbox account. Those files can be up to 50MB in size, which is more than most web-clients offer. As the most popular online email client in the world, Gmail remains one of the better options out there. As part of your overall Google account, the client gives you 15GB of storage space for free, which is ample space for most users, even if you aren’t the most fastidious at deleting older emails. It also has an intuitive interface that is clean and easy to navigate, and there are plenty of tabs and tools for segregating emails of different types into categories to make managing a busy account that bit easier. Gmail has protections for users like spam blocking, virus scanning, phishing warnings, and two-factor authentication for logins. 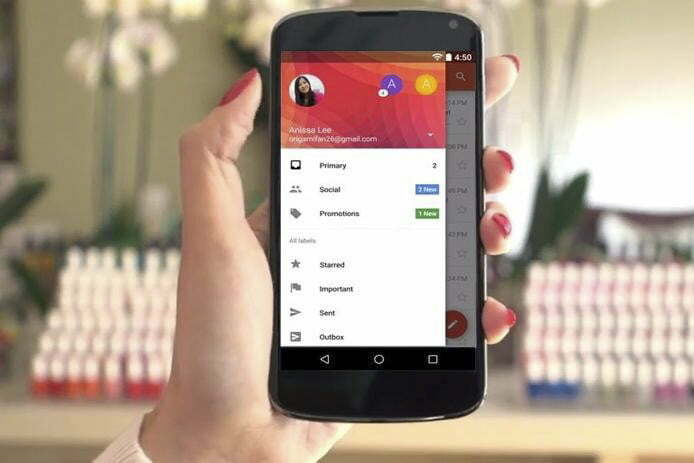 As part of the overall Google service, you can also use your Gmail account for chatting with people using the built-in messaging service, as well as initiate video calls. Gmail also has a translation service for sending and receiving messages in a foreign language. For those concerned about privacy, ProtonMail comes highly recommended. Not only are all emails sent using ProtonMail entirely encrypted end-to-end, but all of the company’s servers are located in Switzerland and are therefore protected by the country’s strict privacy laws. 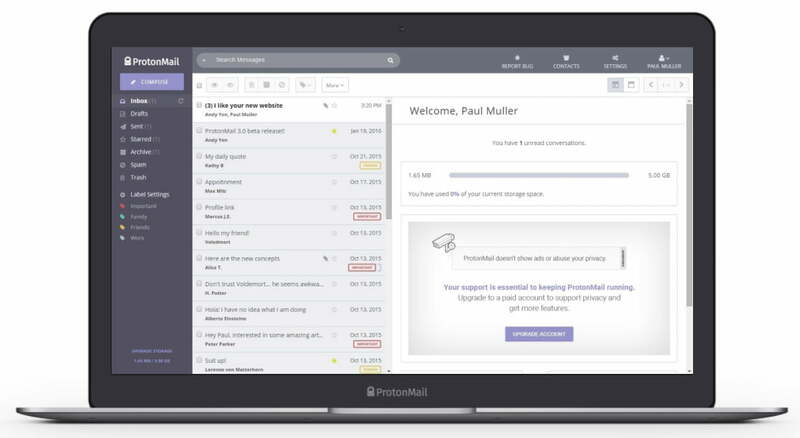 With email, your security is only as strong as the person you’re sending the email too, but at least with ProtonMail everything at your end is as secure as it can be. The interface for the online client is clean and a little easier on the eyes due to the use of muted grays, rather than the starker whites of some other clients. It’s also easy to navigate, and features tabs and categories for streamlined browsing. You can access your account using the free applications available on both iOS and Android. The downside to ProtonMail is that its free account is limited to just 500MB, and you are limited to sending 150 messages per day. That should be enough for most users, but if you need more, a mere $5 a month will get you 5GB of space and up to 1,000 messages per day. If you work exclusively on Mac and Apple products, you need to check out Airmail. It’s quick, it has a Mac-oriented aesthetic that also makes it intuitive for Mac users to operate, and includes support for some of the newer MacOS features, such as split screening and translucency. Airmail divides received messages based on the assumption that each email is a task, sorting them into To-Do (basically your inbox), while Done and Memo folders exist for shuffling emails based on what you do with them next. If that doesn’t do much for you, there are other formatting options to explore. In fact, Airmail can connect to a surprising number of applications for a third-party client, including Calendar, Todoist, Wunderlist, Reminders, and Omnifocus, giving you many options to organize your email around your life. The app is also friendly toward those with an eye on design, with the option to switch to Markdown or full HTML while also viewing your original message, whenever you want. This makes tweaking email formats and appearances easier if you have a lot of email graphics or just want to impress. Although today it’s relatively uncoupled from its Mozilla Foundation roots, the Thunderbird email client is still one of the best email clients out there. It shares many of the features of premium email clients and is entirely open source. The interface for the client is tried and tested over years of use, and Thunderbird is packed with features for organizing and managing multiple accounts. You can apply tags and filters to help manage your emails in a deeply customizable manner, and there are robust automated spam and phishing detection services in play to keep you focused on the important emails. Using a desktop client doesn’t mean you need to lose certain web features, either. Thunderbird has a built in chat and messaging client that lets you talk to friends, co-workers, and chat-bots through Facebook Messenger, Google Chat, Yahoo! Messenger, and more. With support for unlimited accounts, a whole host of plugins for expanded functions, and ongoing security and stability updates, Thunderbird is one of the best email clients you can use today.